When Twitter bought Atebits, the company behind the popular Tweetie iPhone app and Mac desktop application, we knew that we would finally be getting an official Twitter client for all the major platforms. 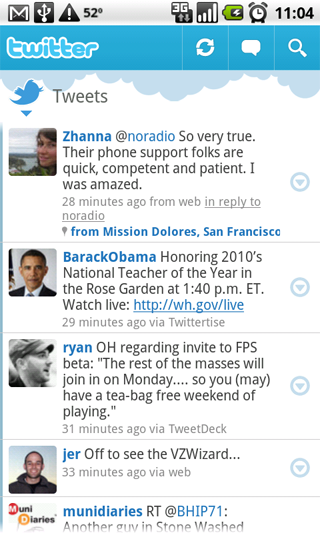 It looks like the official Twitter app for Android has just been released. But there is a catch, it only work with Android 2.0 or better. (Nexus One, Droid, Desire and so on) There is no support for Android 1.6 just so everyone is clear. Anyways I’m sure there will be enough uproar that either Google or Twitter will make right on this huge mistake. Twitter support will eventually get sick of explaining over and over to Android owners that don’t yet have Android 2.1, why their old supposedly old phone, does not support the new Twitter app. At first glance the app looks great, not only that it works great also. There seem to be a few nice integrated features such as automatic sync with your phonebook, GoogleTalk list or any application that uses Android’s QuickContact feature. 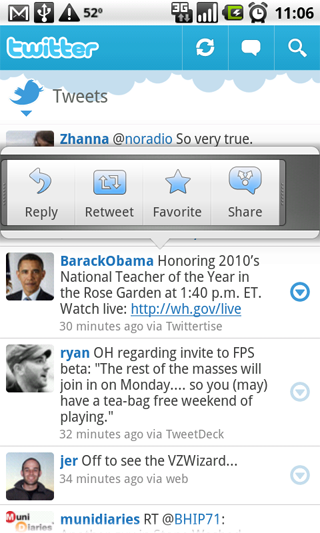 There is also a nice homescreen widget, and view a tweet location on Google Maps. They did forget a few things that will hopefully get fixed in future upgrades, like no video uploading and no editing of Retweets. You shouldn’t hold those few missing features against them. I suggest that you give it a shot if you have a phone that supports it. 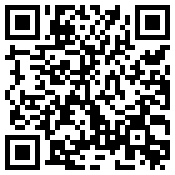 Download available on Android Market or scan the QR code for direct download.